Craving something simple but delicious? 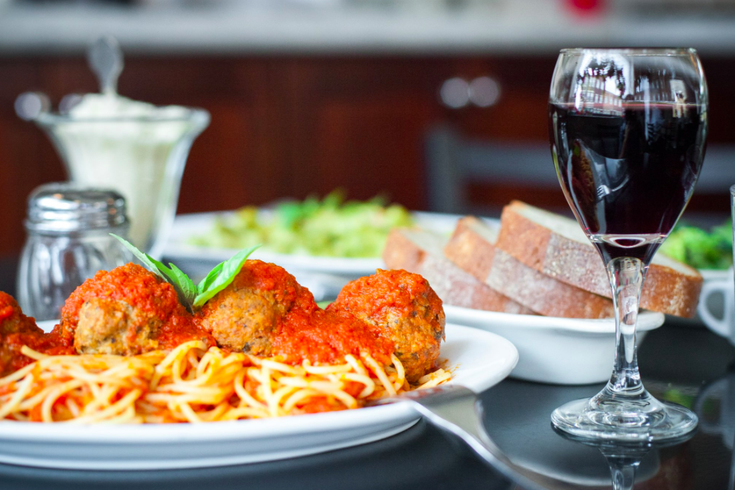 Go for the spaghetti and meatballs. According to Lyft, the second most frequent destination for riders, after "home," is a restaurant. If you're among the many riders who dine out, you can now earn Lyft credits by making restaurant reservations through the app Seated. The app already gives $10 to $50 in credit towards Starbucks and Amazon, but starting this month diners who book through Seated can choose to receive Lyft credits. Plus, an additional $10 Lyft credit is up for grabs for first-time Seated users with the promo code LYFTxSEATED. In total, Lyft is offering $1 million worth of ride credits through Seated. To take advantage of the partnership, first download the app to your phone. Next, enter the promo code. Then, look for a restaurant – places like Hungry Pigeon, Opa, Butcher & Singer and Bistrot La Minette are on the app – and book your reservation. After you dine, your credits will appear on the app. In addition to Philadelphia, Seated is currently available in Atlanta, Austin, Boston, Chicago, Washington, D.C., Denver, Los Angeles, Miami, New York and San Francisco.